The laser optical system is full sealed , no need for adjustment. It can be used as soon as assembled. The coherent RF laser, imported from the USA, is characterized by large power, high-quality light spot, stable power and long service life. The 3 axes laser scanning system is featured by compact construction, dust-proof, convenient & accurate installation and strong anti-jamming ability. The heat elimination method of the scanning motor and the drive board has been taken into full consideration during the design of the system, so as to ensure the stability of the system under long-hours working condition. This equipment can run more stably and with even longer service life by utilizing water cooling on both the RF laser and extender lens. USB interface bus has been adopted for the control card, which supports offline operation, stepper motor with X, Y, Z and R axis (X, Y and Z axis linked. ), support start-up and stopping marking by external control. It supports two methods of distorted correction, including formula correction and Newton interpolation correction. Strong graphics drawing and editing functions enable direct marking of color graphic or marking after color convert from RGB to grey scale. Suitable for almost all non-metal materials, including leather, rubber, wood board, bamboo products, organic glass, ceramic tile, plastics, marble, jade, crystal, cloth, etc. Widely used in industries of arts & crafts, bamboo and wood products, advertising decoration, clothing, plate making for printing on leather, decoration and architectural model. 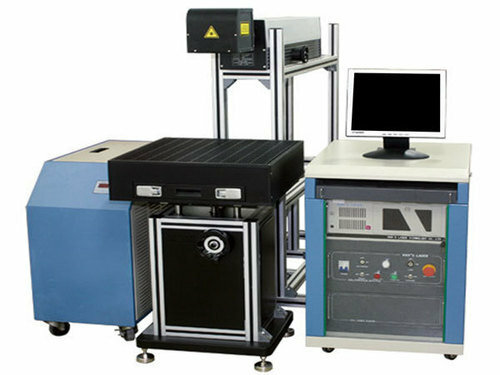 Eastern laser is setting china new standard of laser industry, we are developing laser engraving cutting machine, laser marking machine, mini laser engraver, medium laser power machine continuously. Located in Dongguan city, one of the laser machine base in China, with skilled worker and professional engineer, eastern laser is developing faster in this competitive market by providing tailor-made machine since customer needs is diversified and varied, we don’t want to just sell our machine, we want to sell our laser knowledge and business solution which is suitable for our customer needs, we won’t sell expensive machine which customer actually don’t need it since his requirement is simple, we want our customer success because we believe our success lie in our customer hands, Their success is the only proof of our success. 29 نموذجVew المزيد عن Eastern Laser Technology Co., Ltd.